“You’ll not die!” Satan is the master of lies and deception. He uses so-called experts to introduce destruction and harm as harmless and beneficial. Human vanity is the gateway through which our enemy slithers, and catches the unsuspecting off guard. Just because a study is conducted under the guise of “health expertise,” doesn’t make it wise, beneficial or accurate. The devil has many avenues by which he seeks to destroy the creation of God- and this is one of them. I grew up with alcoholism, and the majority of the women that drank are dead now. The drinking started as “social drinking,” and escalated to survival drinking. Meaning, they drank to cope with the misery in their lives. Another sobering thought, not many of the women reached old age. My mother died at the age of 57, and her drinking buddies died early as well. Another article concerning this topic stated that, “Alcohol and weight loss are enemies…” “…however, if you are exceeding your one drink daily, you might be sabotaging your weight loss plans.”3 My mother didn’t stop at “one drink daily.” She found every excuse to have a drink; a celebration; a death; good times-bad times; violence and abuse. Usually, people who drink socially eventually drink to drown their sorrows. 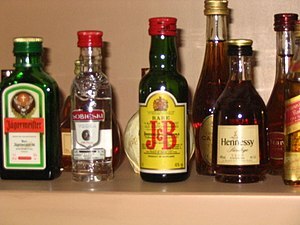 The deception of alcohol is that it numbs the senses, giving a false sense of well-being. When sobriety comes, the problems of life are still there. That is why many alcoholics don’t allow themselves to come clean and live sober. Alcoholism makes it easier to forget reality and responsibility. People who live with alcoholism, abuse and violence don’t need a “study” or an “expert” to measure the effects of alcohol consumption. Alcoholism breaks up families, produces dire economic costs, taxes health care systems, fills up our prisons, and burdens social services. Alcohol and drugs do not cause domestic violence; however, they play a major part in the devastation. So what “expert” do you choose to believe? God created us; therefore, He knows all that is beneficial for our lives. His Word warns of the effects of alcoholism and how destructive its use. Social drinking is a trap, and deceptively dangerous. Alcohol is the most detrimental evil to our society because it is legally available, and has the approval of our own government. The days of Prohibition will never return, so what shall we do? Be wise! Abstain! Turn away before it is too late. THE DEVIL IS AT IT AGAIN! “Mommyjuice” will create more alcoholic mommies, and further destroy the home – and teach your children that alcoholism and drug abuse are the way to handle the stress of life. God help us all.